Whether you’re looking for exposure to the Switzerland market, to hedge any Swiss risk or even diversify your portfolio, you may want to consider a Switzerland ETF as your choice investment. Not only do exchange-traded funds give you instant exposure to a particular region, sector or market, but ETFs come with many advantages as well. Tax breaks and cost-efficient benefits to name a few. 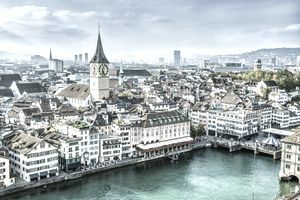 No investment is without risk and ETFs have their share of disadvantages, but on the whole, you may find that gaining access to Switzerland via an ETF can be beneficial to your portfolio. Below are four current ETFs to help you with your strategy. There are not only Switzerland equity ETFs, but a currency ETF and a gold fund as well. So hopefully that helps with your diversification and selection. This exchange-traded fund from iShares was launched in March of 1996 and targets public companies that are either located in Switzerland or conduct the majority of their business in the country by using the MSCI Switzerland Index (NDDUSZ) as its underlying benchmark. Some of the top companies in the holdings of the ETF and the correlating index are Nestle, Novartis, Roche Holding, UBS, Zuricj Insurance Group, Syngenta, Abb LTD, Cie Financiere Richemon, Swiss RE, and Credit Suisse Group. Currently, there are forty holdings in the fund. The two heaviest sectors represented in the fund are Health Care and Consumer Staples. However, the Financials, Industrials, Materials, Consumer Discretionary, Energy, and Telecommunications sectors also have some weighting in the ETF. According to CurrencyShares, FXF is designed to track the price of the Swiss Franc net of Trust expenses, which are expected to be paid from interest earned on the deposited Swiss Francs. The currency exchange-traded fund was launched in June of 2006 and 100% of its holdings are the Swiss Franc. As for the Swiss Franc itself, it is the 6th most traded currency in the world and accounts for about 6.5% of all global foreign exchange transactions. Also, the US Dollar-Swiss Franc pair is the 5th most traded currency pair out of all foreign exchange transactions as well. This gold fund tracks the price of the gold bullion and each share of the exchange-traded fund represents one-tenth of the bullion's ounce price. The actual gold for the ETF is held in trust in Switzerland. This Switzerland ETF tracks an index known as the Defined Switzerland Index. Some of its top holdings include Clariant, Galenica, Givaudan, Aryzta, Barry Callebaut, Alpiq Holding, BKW, PSP Swiss Property, and Swiss Life Holding. The fund was launched in February of 2012, and there are about forty companies in the holdings in all. Each company must either be located in Switzerland or conduct the majority of their business in the country. Also, they must be publically traded on the local stock exchange. The top sectors represented in the ETF are Financials, Materials, Health Care, Industrials, Consumer Staples, Utilities, Consumer Discretionary, and Telecommunications Services. As with any investment (not just ETFs), it is very important to conduct thorough research before making any trades. So if you are considering any of the above funds for your portfolio, make sure you understand how they work, what is in the fund, how they react to different market conditions and the risks involved. If you have any questions about the ETFs consult your broker or speak to a financial professional. Then, once you’ve completed your due diligence, you can add (or short) and or all of these Swiss ETFs to your investment strategy.